Welp, the moment we’ve all I’ve been waiting for–RACE WEEK!!! 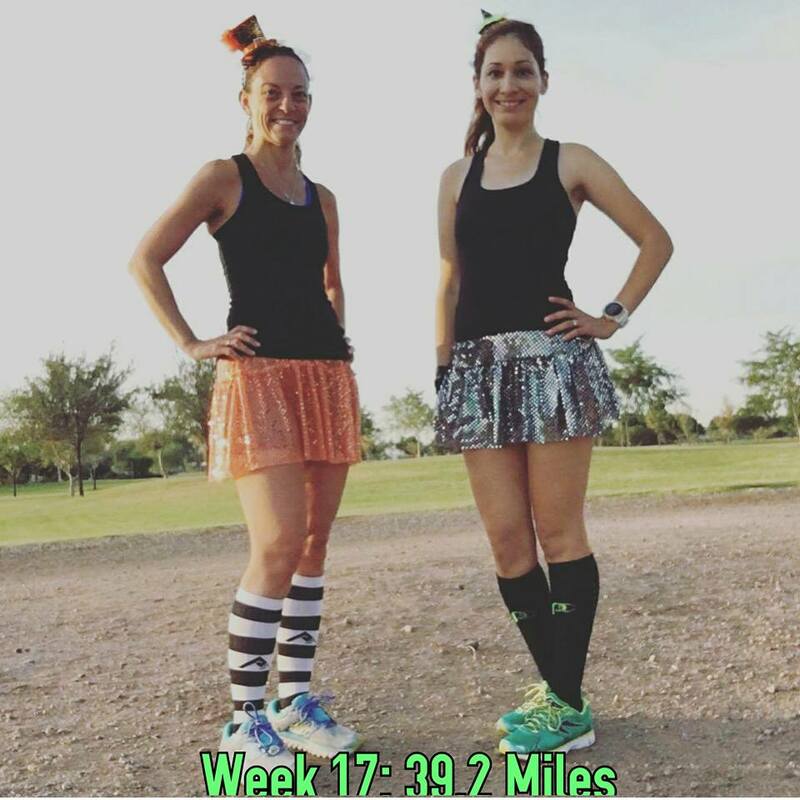 A little faster than “easy pace” miles with a friend. But like always, a good convo makes the run go by faster. Strength pace is 8:35/mile and each mile of this workout was way faster than that. I have no idea how that happened. 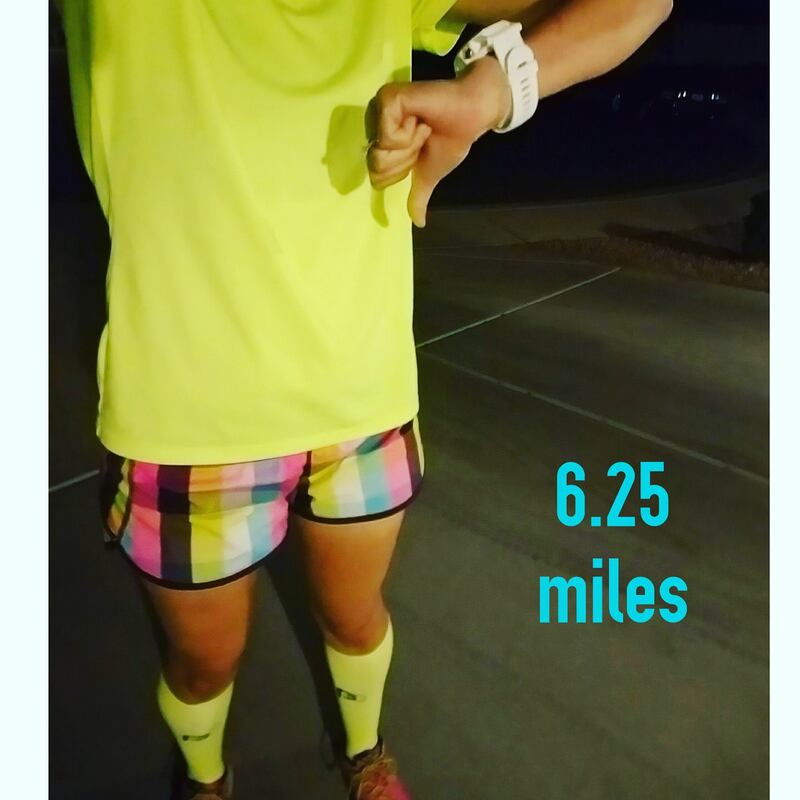 It was dark out when I started (at 4:45 in the morning) so I only saw my splits when the mile would beep. Each time, I would look in disbelief as I didn’t feel like I was pushing or working myself. I’d try to adjust, only to see the next mile be almost exactly the same. 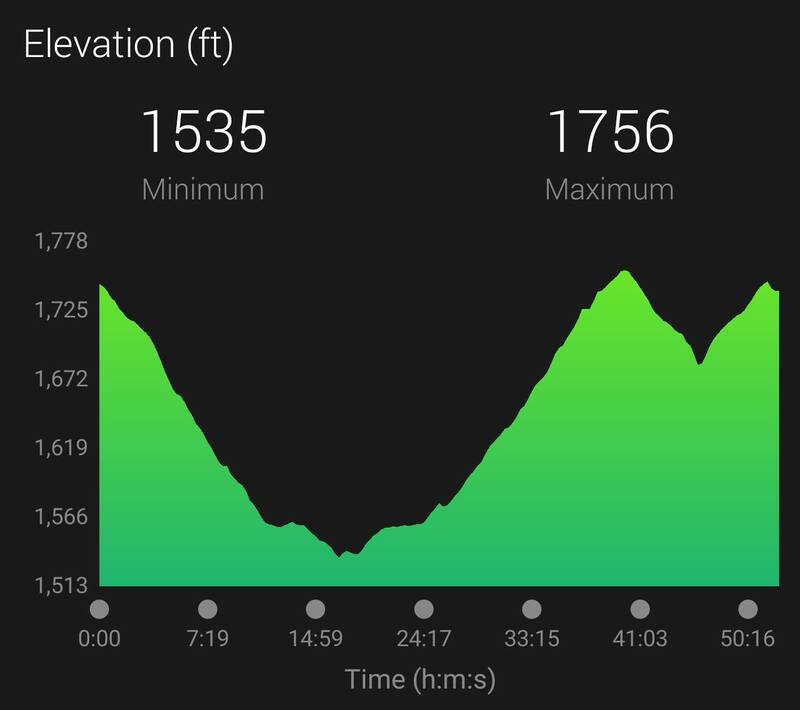 I was running with a buddy who is usually meticulous with pacing but even he was off. We were just chatting along. It was cool to see this be a sort of conversation pace for me as I’d had had an awful training week the week before. Nevertheless, I knew that I should be more disciplined with my pacing so close to marathon day. Milked it. I knew I had a hard run the next day. I was a little worried about this run, not gonna lie. Last week’s tempo run was awful so I was going into this one not very optimistic. It was crazy o’clock in the morning again (4:30 start time) and I got in 3 miles on my own before meeting up with my run club. Then I ran with my Tuesday pacing buddy and it was deja vu. Each mile was faster than what it should’ve been and again, it didn’t feel hard. We chatted the entire way and then he left me on my last two miles. This run was the confidence booster I needed. 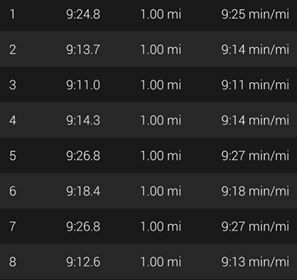 I was a little sad after last week’s struggles and this week’s two big runs (Strength & Tempo) had gone so well, it really helped ease some of the race anxiety I had already started to build up. This was an unexpected race day. I slept in with the intentions of running in the evening but then I remembered later that my book club had it’s monthly meet-up and that sounded so much better. I didn’t even feel guilty about missing a run. I met up with my NYC training buddies for this run and it was just so much fun. Relaxed, social, and it flew by before I knew it. Which brought me to a grand total of 39.2 miles for the week. I seriously can’t believe that race week is NOW. I’ve already started packing and mentally preparing myself–trying my hardest to keep the nerves at bay. I keep thinking about the bridges and the hills and getting scared, but I know I’ve worked hard and what’s done is done. All I can do is show up confident with my training. I’ve never worked so hard in my life and I definitely know I’m a different runner than I was 5 months ago. Geeze…..5 months. FIVE months of training. –How do you keep the racing nerves at bay? –It’s been 90 degrees+ here. There’s no way I can prepare for NYC weather. –I’ve been hydrating like a mad woman, carb loading smartly, resting as much as I can–what else should I be doing? I had mentioned in Week 15’s Sunday long run how I was sick and that continued on to this week. That, coupled with life, it was an extremely rough week. 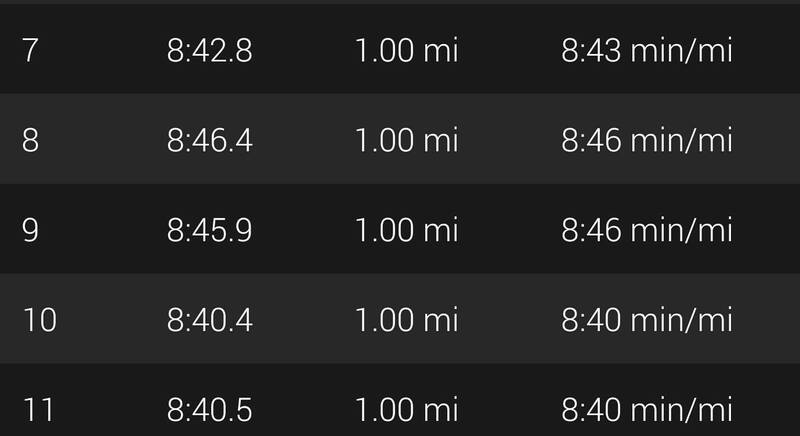 This was supposed to be a strength run of 1 mile WU, 4×1.5 miles (w800R), 1 Mile CD for 9 miles total. But going in I had the absolute worst migraine ever. I rarely get them and when I do, it’s brutal. Nonetheless, I met up with my run club to get the workout done. As soon as I started running though, I could feel the pounding worsen with each step I took. It was awful. After the warm up mile, I started the first the interval and felt like I was running with a hammer hitting my head with each stride. I just felt so sick that I just threw the workout out the window and worked on just finishing the route. After yesterday’s awfulness and me still feeling sick, I decided I’d give myself two rest days, today and Thursday. My husband would be out of town on these days anyway which would’ve made running that much more difficult. Early in the morning, my mom called to tell me that my aunt, her sister, had unexpectedly passed away. With my husband out of town, I wouldn’t be able to drive home til Friday. I knew I’d be driving home early to be with my mom so I woke up at 4 a.m. to get this run done. It was bad right from the start. My tempo pace of 8:45 that had always felt comfortably easy was just H-A-R-D. I knew I was sick, I knew that I was grieving, but I still wanted to do well so I tried, I tried. And I wasn’t completely far off pace–5 to 10 seconds on some miles-but it honestly made me feel worse, like I shouldn’t be struggling so hard with 3 weeks left of training. Anyway, I finished and then drove 4 hours south to help my mom with funeral arrangements. My aunt had died in Mexico and it was difficult trying to organize a transport to the U.S. plus funeral arrangements in one day; we only had Friday to work with. It was very stressful as we were on a major time crunch and by the time the day ended, I had never felt so sick and exhausted in my life. I knew logistically it was going to be hard to squeeze a run in. The international transport was taking place early morning and the funeral immediately after. I thought maybe I could run once everything was done, but because I had been insanely busy the day before and still organizing arrangements Saturday morning, that by the time the funeral was over and my aunt was finally resting in peace, I could barely move. And because I was crazy, I decided to drive the four hours back home instead. 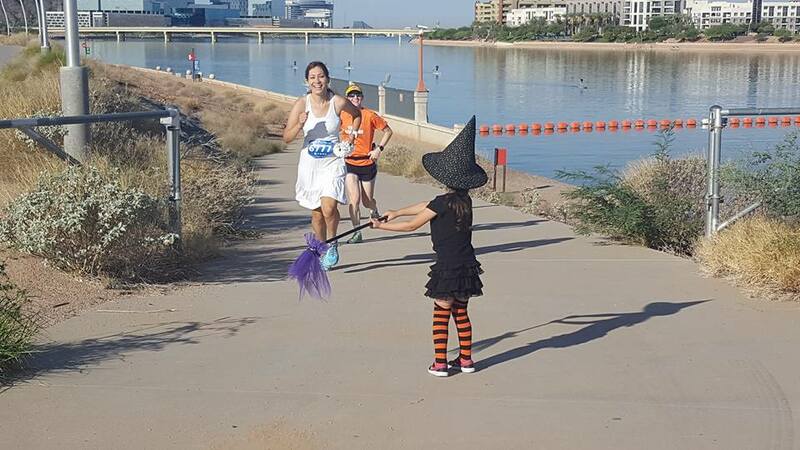 It was my anniversary day and my run club had a 5k Halloween Run so naturally, we dressed up accordingly. Then, after a LONG nap, I got in some more miles in the evening. 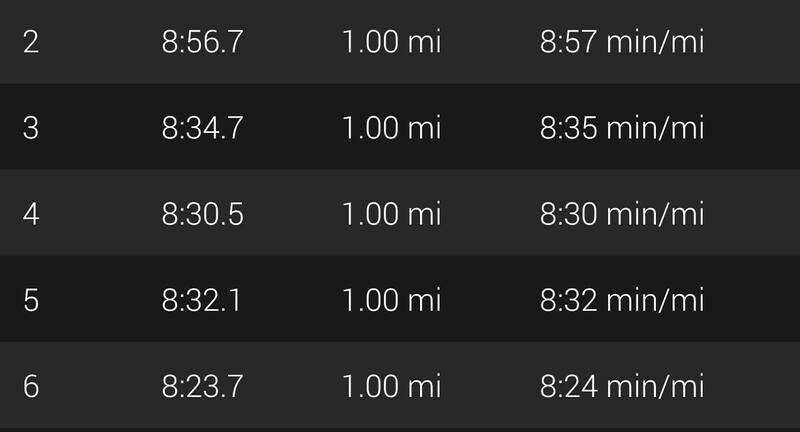 I wasn’t going to worry about pace–this was just about getting in miles. But, after a few miles I felt warmed up and things started feeling a lot better. The last three miles felt amazing and I was on cloud 9 and so ridiculously happy that I was ending a run on a good note. Week 16 ended with 34.7 miles. Not gonna lie, for a while I felt like all my weeks of training, all the hard worked I’ve put in, was going to be lost because of this awful week. Right now, I’m just focusing on getting better and thinking positive. I know one bad/sick week isn’t going to derail everything and I just need to make sure that I don’t let negative thoughts take over. –Have you ever gotten sick towards the end of your training cycle? Remedies? Taper taper bo baper, fee fie fo faper….taaaappeeer!!!! 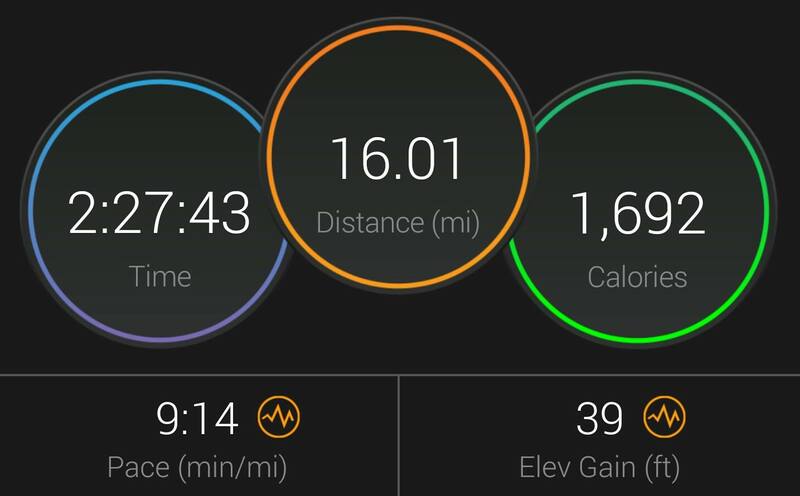 Last week, I said I wanted to focus on making my easy runs easy since I knew Week 15 was a peak week. Happy to report that I did pretty good! See that? ^^ 10:30 average pace! It wasn’t too hard running slower as I was beat. I ran in the evening and it was 95 degrees out. My goal was to not run the 2 miles sets any faster than I needed to. I’ve been doing these strength runs a lot faster than needed and I really want to..I guess not work harder than I need, lol! I programmed the workout on my watch and it would yell at me when I was going too fast. Even though I’ve gotten better about consistency with my paces, I wanted them to not be consistently fast jaja! I was very nervous about this run. 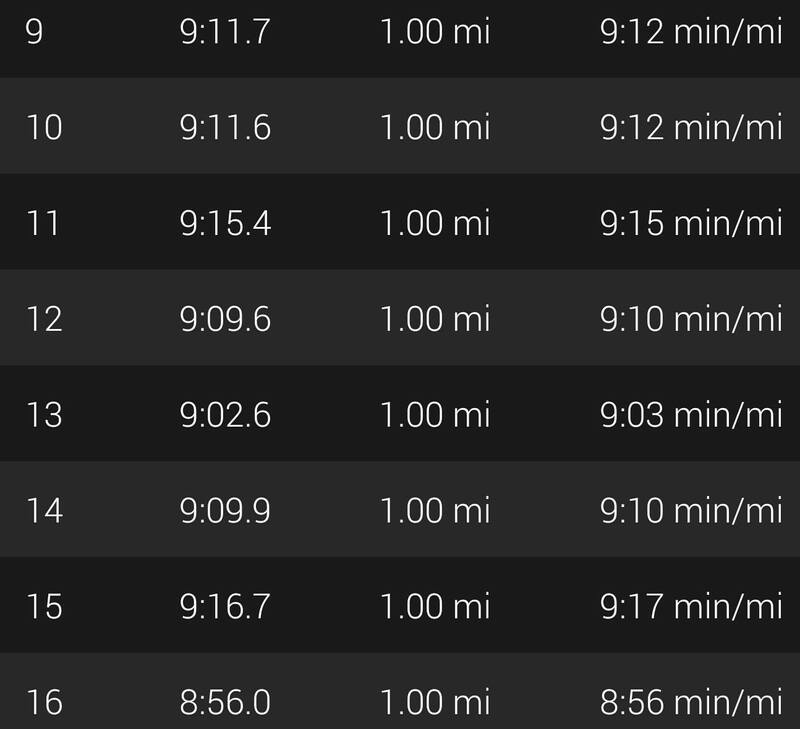 It was the first (of three) of my long tempo runs and also the longest mid-week run I’ve ever done. You can tell something was up because it was a tale of two halves. The first half was too fast (like usual) and the second half was just right (where I told myself to get it together). I wish they were reverse so I could have had negative split halves but all is well. 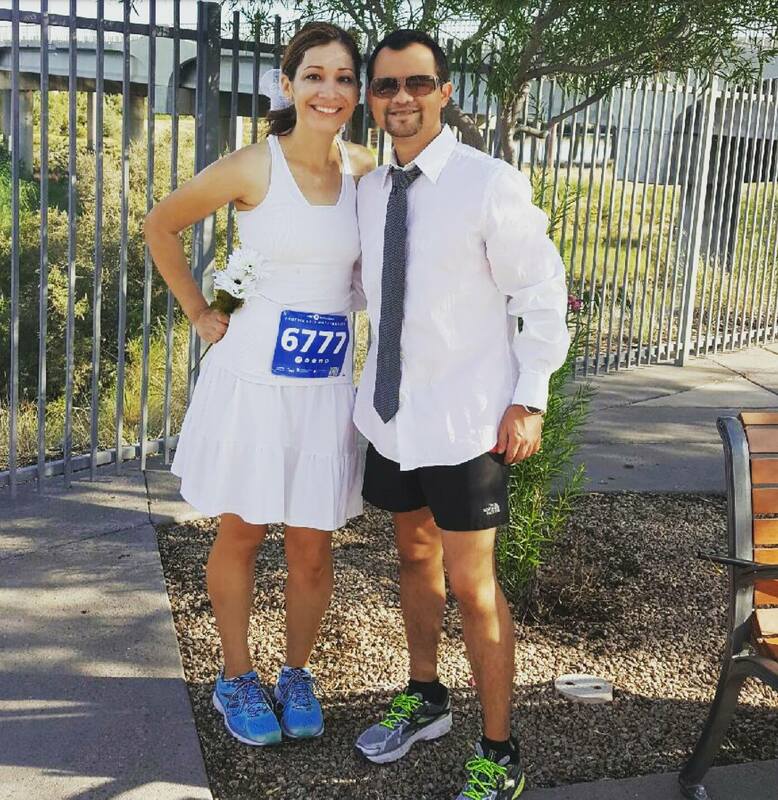 I was very happy with getting through it and still feeling good at the end. I know, I know…9:33 isn’t an easy pace. I headed over to the hills to meet up with some friends and honestly, I just kinda got caught up with chatting. It made me feel pretty good though, that I was talking while running up and down hills. It was a super early run (4:00 a.m. wake up, 30 minute drive, 5:oo a.m. start) and it being the second of back-to-back early runs, I was beat when I got home. I started to feel a little tickle in my throat and just not well. I tried not to think about it too much and took some Nyquil before bed that night. It was easier to run slower as I was still not feeling good. Luckily, I didn’t have to do this at crazy o’clock so I was able to get some rest. 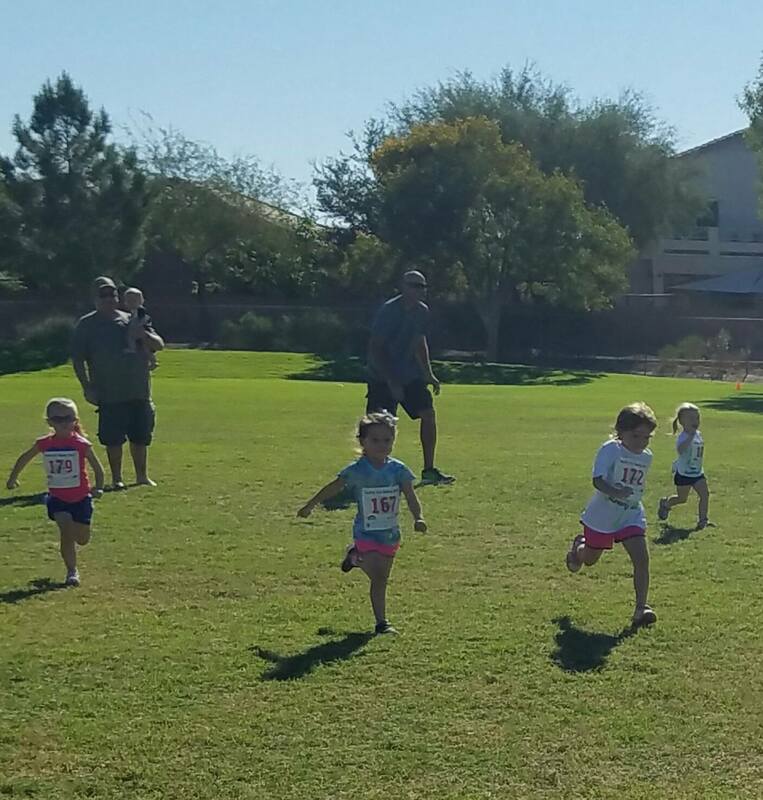 My kids had a race that morning, thankfully not too early, and I got to just wake up at our normal time. Having felt sick all weekend, I was not looking forward to this run. I slept horribly, waking up with chills (but sweating), and coughing throughout the night. 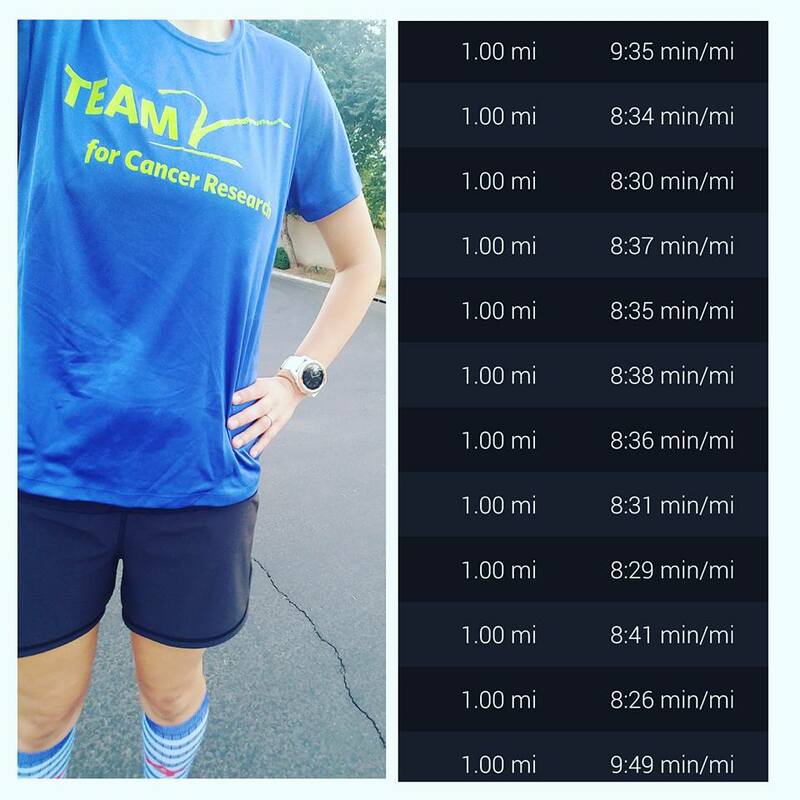 I planned on starting at 5 a.m. to get 6 miles in and then meeting up to finish off 10 with a friend and my MRTT group. But, I couldn’t wake up. I just felt so tired that when my alarm went off at 4:30, I just couldn’t. I ended up starting at 5:40, getting 2 miles in, and then doing 12 with my buddy at 6 a.m. 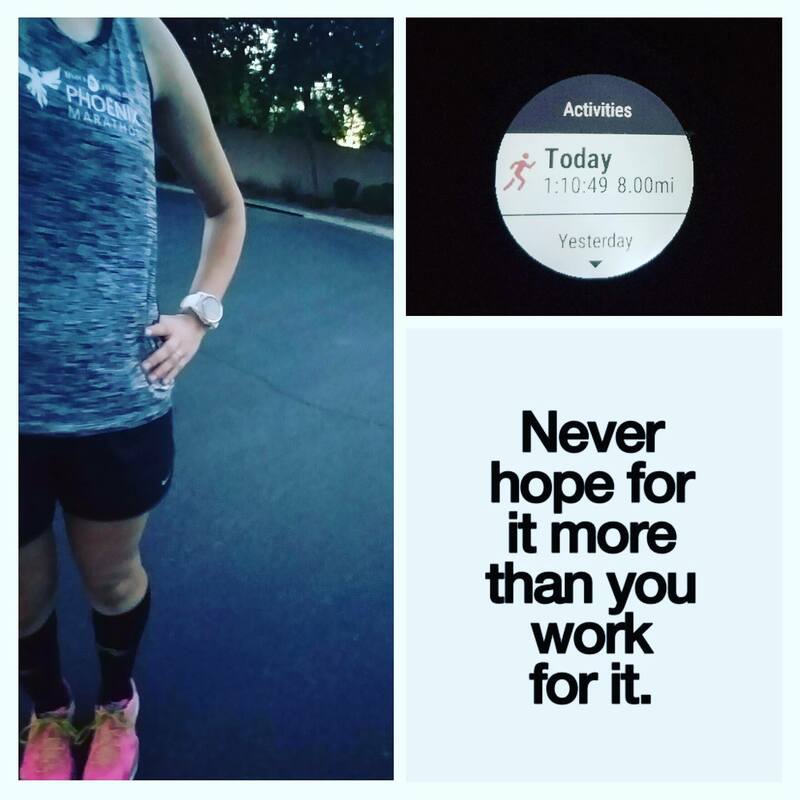 Despite feeling horrible (I was sweating but cold), when I started running it seemed like my body/legs just knew what to do. I was hitting my paces and some (a lot) even faster but still consistent. 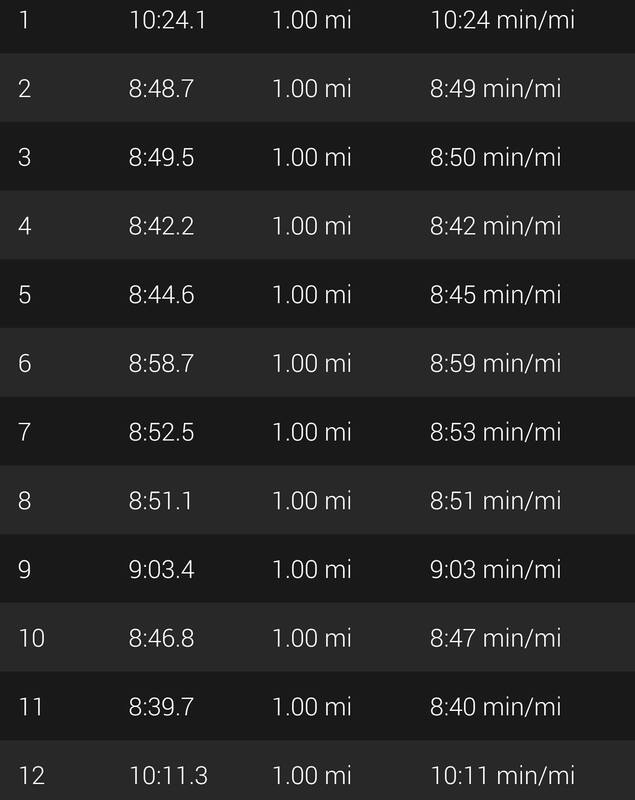 My friend and I talked the entire way so the entire run was conversation pace; I didn’t feel like I worked for any of these miles. 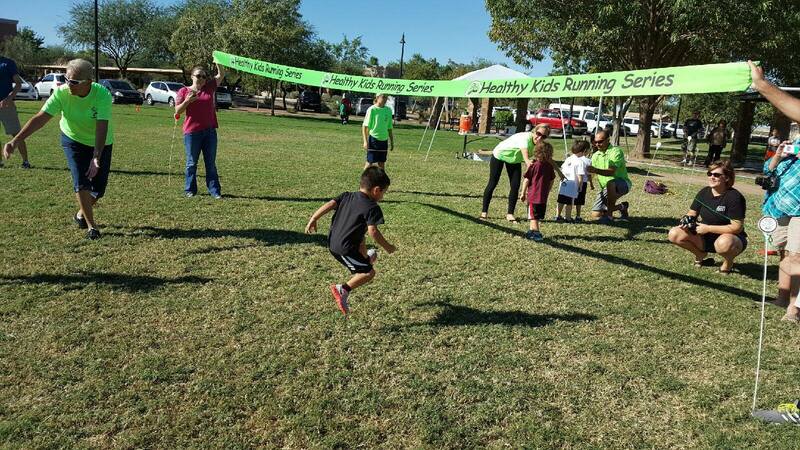 –Did you race (or track anyone) this weekend? 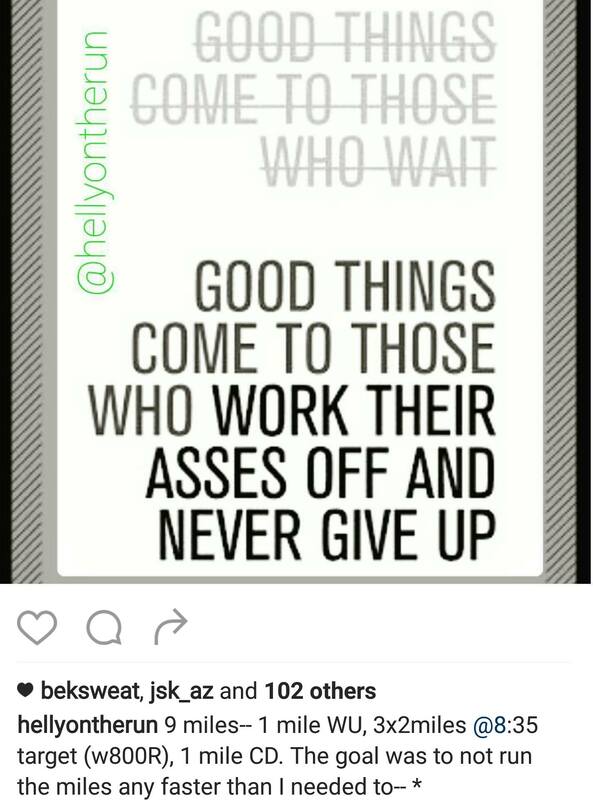 –Do other people’s successes motivate you? It sure does for me!! I had so much fun following Katrina and seeing her Instagram celebration post!